The village of Bingen, Pennsylvania, located in Lower Saucon Township, grew out of the organization of the North Pennsylvania Iron Company, established by the North Pennsylvania Railroad Company in 1869. F. A. Comly, the President of the railroad named the village after Bingen on the Rhine in tribute to the German population of the area. The iron business, which later came under the control of the Thomas Iron Company, continued to operate in Bingen until 1900. The property later became the site of the F.H. Clement & Co.; a Bethlehem based construction company, and then passed onto Weyhill Farms, which is now the number two golf course for the Saucon Valley Country Club. Other prominent businesses located in Bingen in the 1800s were the D.D. Ritter and A.S. Gangewer Companies, which manufactured bricks using the clay separated from the iron ore. The Bingen Brick Company, located near the Reading Drive Trailhead, operated until the late 1930s. In addition, flour and feed mills, and a blacksmithing business served the needs of the village and surrounding farmers. The North Pennsylvania Railroad Company tracks between Philadelphia and Freemansburg were completed and put into service on January 1, 1857. 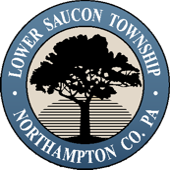 Locally, railroad spur lines served the nearby Saucon Iron Company and the Friedensville Zinc Company. In 1879 the line was leased by the Philadelphia and Reading Railroad and was designated as the "Bethlehem Branch". In 1924, it became the Reading Railroad, which was sold to Conrail in 1976 and then to SEPTA the same year. The last passenger train on the line ran in 1984. The village of Bingen grew to contain two stores, one hotel, a gristmill, the Saucon lime works, the Ebenezer New Reformed Church, a two-room schoolhouse, and about 20 houses. The railroad station was built around 1871 just north of the trailhead and housed the village’s post office, telegraph station, and a newsstand that sold candy, tobacco and periodicals. The post office was later relocated to the Weiss Store, where it remained until the early 1930s when rural mail routes took its place. The station was removed from service to the railroad in the 1950s and eventually the building was demolished. Near the Bingen Road crossing are two buildings that once served the community as Gruver’s Hotel and the Weiss Store. 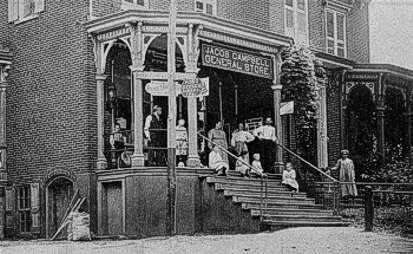 The store was opened by the Yeager family between 1856 and 1857, and then owned by Jacob Campbell after the Civil War, and eventually was acquired by Preston Weiss who continued its operation at the site until 1962. Gruver's Hotel, located next to the Weiss Store, contained a barroom and barbershop, and remained in business until the 1950s. The Bingen House of Fashion, co-owned by a Gruver family member, continued to operate in the building until 1988. William Yeager, who operated the iron company’s works, is believed to have sheltered runaway slaves from the Underground Railroad in his home and barn which are located along Bingen Road.